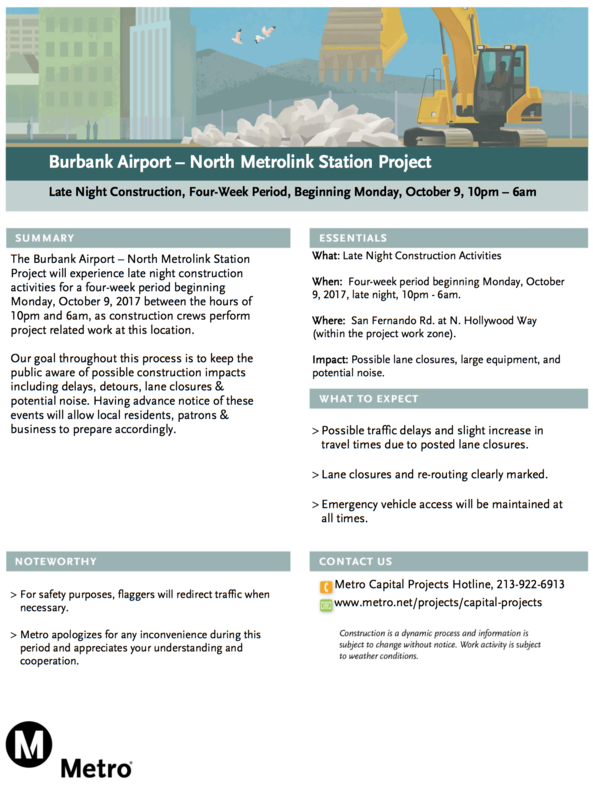 There will be late-night construction activities near the Burbank Airport for the North Metrolink Station Project over the next four weeks. Work will start on Monday, Oct. 9 from 10 p.m. to 6 a.m. at San Fernando Road at Hollywood Way. Expect possible traffic delays due to lane closures. For more details, see the construction notice below.